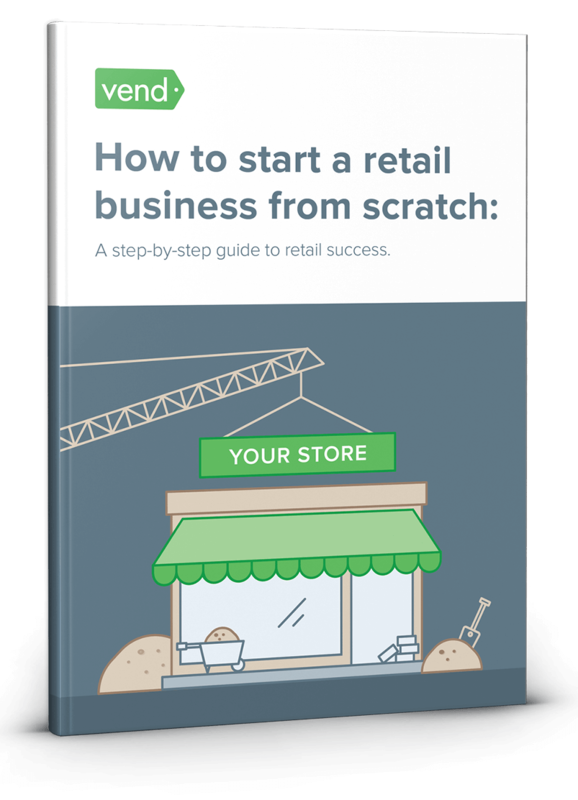 Your products are the cornerstone of your retail business. The question is, how do you pick the right ones? Many factors come into play when you’re deciding what to sell, but the top three things you need to consider are knowledge/interest, demand, and margin. While you don’t have to know every little detail about what you’re selling, you should have some knowledge or at least a genuine interest in it. Retail is already a challenging adventure as it is, so don’t make it harder on yourself by trying to sell something that you don’t like or that bores you to death. On a more practical level, knowing your product well will help you make the right business decisions down the line. If you’re already familiar with your goods, you’ll find it easier to pick the right suppliers, find the best people, decide on pricing, etc. Start with something closer to home. What are your personal hobbies and interests? Can you make money off of them? For instance, if you like gardening in your free time, perhaps you can look into selling plants or gardening supplies. Consider for instance, Tammy Biedeman, owner of lifestyle store Sweet Elizabeth Jane in Ellicott City, Maryland. According to her profile on Main Street Story of the Week, Tammy was a teacher turned stay-at-home mom who had a passion for refurbishing and re-purposing items she picked up from flea markets. Pretty soon, her house started to fill up with these items, so she decided to sell them through antique cooperatives and other retail outlets. And in 2011, Tammy made a choice to open her own retail store. She did the legwork, leased a space in downtown Ellicott City, and opened up her shop six weeks later. Do you have a day job? What did you take up in school? See if you can use your professional knowledge and skills in the retail world. Say you’ve been working at a salon for years and are looking to venture into retail. You could use your know-how to set up a beauty supplies store. Meet Karen Besson, another retail store owner in downtown Ellicott City. With nearly 7 years experience running an art gallery, she decided to use her knowledge as a springboard into retail. Karen did some research, interviewed other business owners, and acquired a lease in Ellicott City. She renovated the space and within a month, opened an art gallery—slash—jewelry store called Art and Artisan. Sometimes, simply keeping an open mind can help you generate ideas. Talk to people. Visit marketplaces and attend trade shows. Look at the businesses that are out there and see if there is a gap that you can fill or if there’s something you can do better. That’s what Harriet Vaight, owner of design shop Chirpy did. A former environmental scientist who was no longer satisfied in the corporate world, Harriet always liked arts and crafts and had a dream of opening her own shop. Her retail journey began after she attended various arts and design events. “I went to craft fairs and arts trails and saw so many local people making such lovely things,” she said. Harriet then noticed that these individuals didn’t have a permanent place to sell their creations, and that’s when she saw the opportunity to establish her shop. Let’s get real here. Interest and passion by themselves won’t be enough to build a successful business. You may have found products that you love, but if there isn’t a real need or desire for them, the business probably isn’t something you should pursue. That’s where product demand comes in. Validating whether or not people would actually purchase your products is something you should do early on. The last thing you want is to manufacture or purchase merchandise only to find out that customers don’t want it. One of the easiest ways to gain insights into what people are buying is to check online marketplaces such as Amazon or eBay and finding their bestsellers. Head to Amazon’s Best Sellers page and study the products. The items or brands on this list will likely be the ones that’ll do well in your store. Also pay attention to customer reviews, as they can give you insights when it comes to demand, as well as the sentiments of shoppers. On eBay, you can gauge product demand by looking at how well items have performed at auctions. Find your product (or something similar to it), and determine how it did when it was auctioned out. How long did it take before it was sold? Was there a bidding war? How much did it sell for? You can also peruse eBay’s popular listings and see which items and brands are doing well on the site. If you need something more automated, consider using eBay research applications that provide information on keywords, product demand, and more. Google Adwords Keyword Planner can also come in handy here. You can use this tool to see how many monthly searches are being conducted for your products and gauge demand accordingly. Simply type in keywords or phrases related to the merchandise you want to sell, then take note of the number of searches that come up. Naturally, the more people are searching for your products, the better. And don’t be afraid to take a more straightforward approach when doing research in brick and mortar stores. Talk to their proprietors or associates and ask them what their bestsellers are. Put your reading cap on, because this step involves perusing magazines, trade journals, and studies in your industry. While the practical steps mentioned above are very effective, reading up on the facts and figures surrounding your market is also essential and will enable you to get a well-rounded understanding of the demand for your products. Read trade magazines or journals pertaining to your products, industry, or target audience. Doing so will enable you to get some insights into what’s trending in your market or what’s being said about the products you’re looking to sell. Also check if there are ads related to your products. Chances are, if other companies are investing ad dollars towards an item, then they probably know that there’s a demand for it (or at least some potential). You’ll need to get your hands on numbers surrounding your product or industry for two reasons: first, they can tell you whether or not there is a demand for what you’re planning to sell; and second, these numbers can back you up in the future when you’re looking to obtain financing (more on this later). Fortunately, accessing industry data is usually easy and inexpensive. Your government’s Census bureau for one, would likely have this information publicly available. You can also get your hands on industry data and statistics by joining trade organizations. For example, the National Retail Federation has a Retail Insight Center that lets members pull up industry and consumer data from government sources, NRF research, and consumer surveys. Once you’ve found a product you want to sell and you’ve determined that there is a demand for it, you should figure out how much it would cost to make or purchase it as well as how much you can sell it for. The first step to doing this is to get in touch with potential suppliers. You can find a lot of prospects through trade associations and directories. Also check out ThomasNet.com, an online platform that lets buyers search for trusted suppliers. Additionally, if you know other retailers in the space, ask them if they can put you in touch with their contacts. On top of that, you can find products and suppliers by attending events. Harriet of Chirpy mentioned that when she was figuring out what products to sell, she spent a lot of time at trade fairs and craft shows. Touch base with these suppliers for a quote to get an idea of how much the product will cost you. After you’ve completed this step, determine the item’s retail price by taking a look at how much other stores are selling it for. Do a quick search on Amazon or head to brick-and-mortar shops that carry that item to find its retail price. Once you have these amounts, you should then figure out how much money you can make from each sale. Simply put, you’ll need to determine the cost of the product, then subtract that amount from its selling price to find its margins. e.g. : If a widget costs you $5 to make, and its retail price is $20, your direct costs margin is $15 or 75% margin. Think about your hobbies, interests, and fields/industries that you know (and like). Create a list of products relevant to the above, and ask yourself: Can you see yourself selling these items in a retail environment? More important, would you like to? Once you know what products you’d like to sell, see if there is a demand for them by checking their popularity using sites like Amazon, eBay, and Google’s Keyword Planner. Also check how popular they are by visiting brick-and-mortar stores selling those items. Further validate demand by doing additional research on your product or industry. Get your hands on Census data and research by trade organizations, and find numbers on product sales, growth, customers, etc. Figure out how much a product is going to cost by getting in touch with potential suppliers via directories and events. Then, find out how much you can sell it for by looking at the pricing of other retail stores. Determine if it makes financial sense to sell the product by calculating for its direct cost margin using the formula above.